Blood testing and breath testing are the approaches Virginia police use in investigating possible driving under the influence of alcohol, drugs, or both (known as DUI and DWI). 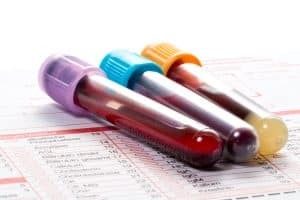 As a Virginia DUI lawyer, I point out some of the following approaches in preparing for blood draw cases and attacking such test results. Virginia prosecutors rely on the Virginia Department of Forensic Science (DFS) to test and analyze blood in DUI cases, and on hospitals to do so when the draw has only been made pursuant to medical treatment of the defendant. The investment of one hundred dollars or more is jusitified for getting an independent lab to test a sample of the blood drawn in a DUI case. Getting the blood independently tested starts with submitting the Virginia court form DC-303 for doing so, within ninety days of the draw date. Va. Code § 18.2-268.7. Instead of constantly checking with the court to know if the DFS has submitted a certificate of analysis of the blood drawn from a Virginia DUI suspect, the defense may simply file a Request for Certificate of Analysis (form DC-302) at least ten days before the court date, pursuant to Va. Code § 19.2-187. Some prosecutors will try to get DUI certificates of analysis admitted into evidence at trial without needing live testimony through delivering a notice pursuant to Va. Code § 19.2-187.1. Because of the brevity of the fourteen-day deadline (from the time the prosecutor files the certificate of analysis) for the defense to file an objection to such an evidentiary shortcut, I file an objection to certificate of analysis (on Form DC-305) before even knowing that the prosecutor has filed such a notice, and also immediately after learning of such a notice. For blood draws obtained pursuant to police action in Virginia DUI cases, the prosecutor needs at least three trial witnesses, those being the investigating police officer, the medical professional who drew the blood, and the DFS forensic toxicologist who examined it. With that many witnesses needed for the prosecutor to get blood testing evidence admitted at trial, the possibility exists that one of those witnesses will not appear at trial, whether due to illness, calendaring issues, or (in the case of hospital blood draw personnel) obtaining new employment. Anytime a prosecutor sets a plea offer deadline before the trial date, it is essential for the defense first to determine whether the prosecutor’s essential witnesses and evidence will be available for trial if the plea offer is not accepted before the trial date. When the blood draw witness does not show up for a Virginia DUI trial, the prosecutor might try to get around that absence by presenting documentary evidence that the draw witness fits within the statutory definition of people authorized to proceed with such draws, and to have the police officer testify to providing a DFS-approved blood testing kit to the drawing technician. When that happens, the defense can challenge the admissibility and reliability of the documentation purporting to establish the blood draw witness’s statutory qualifications. Additionally, the defenses can argue through cross examining the police officer and through arguing the facts and law that the police officer, as a non-medical witness, is unable to know whether the draw witness exercised the necessary procedures and safeguards to assure a reliable draw, and acted pursuant to the draw witness’s training and licensing; otherwise, the Virginia Code would even permit police to draw blood, which they are not permitted to do. The defense can also contest whether the DFS-provided kit purportedly used by the draw witness is in fact a DFS-authorized kit and does in fact contain a suitable syringe, sterilization swab and liquid (an alcohol-based swab can elevate the blood alcohol test result), and container for conducting the blood draw and storage. Only the draw professional can know that. Blood draws in Virginia DUI cases present there own opportunities for the defense to challenge the admissibility and reliability of blood alcohol tests. These opportunities must be timely and skilfullyl seized. Virginia DUI lawyer Jonathan L. Katz has successfully defended hundreds of driving under the influence of alcohol and drug defendants, and taken hundreds of DUI cases to trial. To discuss your DUI, felony or misdemeanor criminal case with Jon Katz, please call his staff to schedule a confidential consultation, at 703-383-1100.